The technical qualities of this canvas ensure each piece in the collection is lightweight, waterproof and easy to wipe clean, delivering years of high-quality performance. The subtle two-tone grey canvas is woven in a mill in the Italian lakes, and brings a natural look and feel to each product.Trimmed in black with Troubadour’s signature vegetable-tanned Italian leather, the refined, modern look of these products exemplifies the brand’s design philosophy – functional performance achieved through clean lines and understated simplicity. The result is a collection of versatile bags equally appropriate for business, casual weekend breaks or trips around town, and adventures off the beaten track. 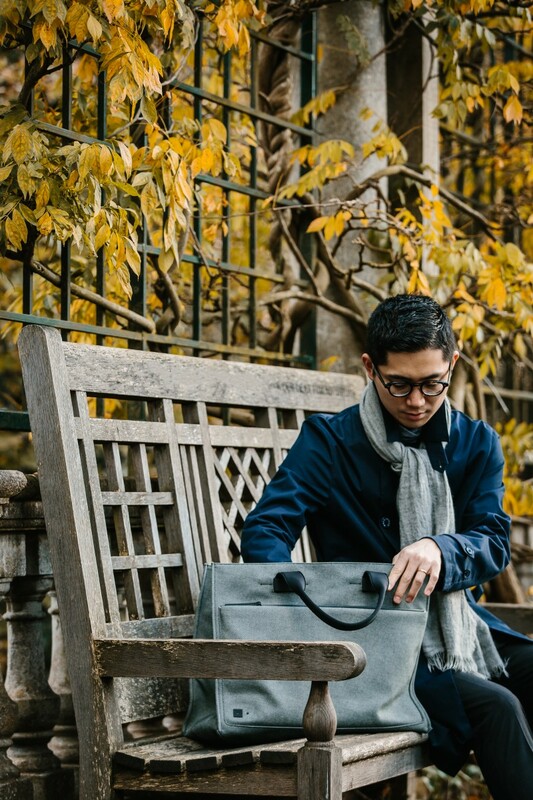 The Grey Collection comprises the Fabric + Leather Tote, Slim Briefcase, Light Duffle, Foldable Tote, and Ziptop Rucksack. Available at Liberty and Troubadourgoods.com from March 2018.